We refer to Unobtainium as a material or technology which is perfectly suited for a particular application, except that it does not exist yet or is extremely costly or difficult to obtain. 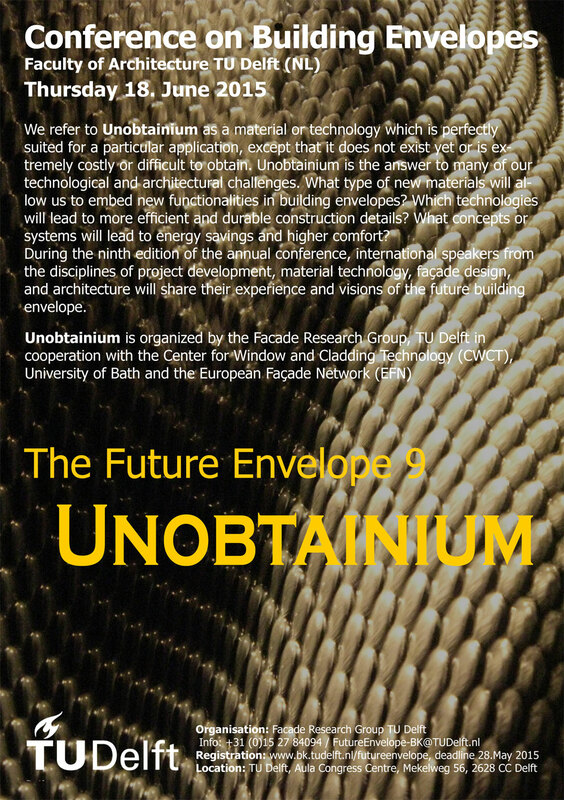 Unobtainium is the answer to many of our technological and architectural challenges. What type of new materials will allow us to embed new functionalities in building envelopes? Which technologies will lead to more efficient and durable construction details? What concepts or systems will lead to energy savings and higher comfort? During the ninth edition of the annual conference, international speakers from the disciplines of project development, material technology, façade design, and architecture will share their experience and visions of the future building envelope.